The Orthodontic Centre offers the latest in orthodontic treatments for adults, teens and children, including aesthetic braces, incognito and Invisalign. The OC team brings a fresh, innovative approach to orthodontics with advanced treatments, flexible options and the latest technology. The OC team is made up of Dr Tobin our Registered Specialist Orthodontist. Orthodontic Auxiliaries Abbey, Olivia and Georgina. Orthodontic Assistants Gabrielle and Ruby. Our front office Gen, Alice, Juliette and Michelle our Practice Manager. 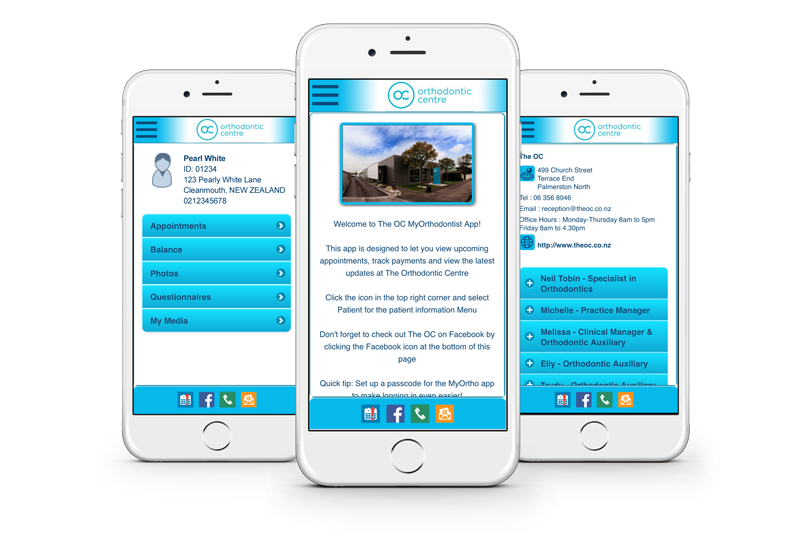 The Orthodontic Centre app is designed to let you have easy access to your information. View your upcoming appointments, balance, contact information and more.